When it comes to the subject of writers’ reading habits, I always turn to the phenomenal Mr. King. Reading inspires me as a writer in numerous ways. Some are obvious: I aspire to write memoir, so I read a lot of them. I also read a ton of fiction, even though I don’t desire to write it. It keeps my creative juices flowing, teaches me a lot, is entertaining, and so many other benefits. While all of that reading is useful and motivating for my writing practice, books about the craft of writing are some of my greatest resources. I’ve taken countless writing classes and attended workshops led by published authors. 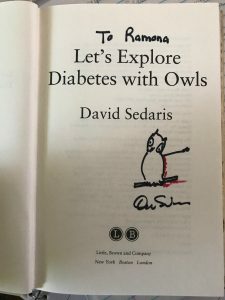 I’ve gone to readings by my favorite writers and even had a couple personal encounters with writers I admire who answered my most pressing questions. The point here is, all of those experiences are invaluable and have taught me a great deal and increased my writing skill. And with that being said, I can say I find books about writing to hold unlimited power in a different way. When I spend time with one of these books, it’s as if I am getting a one on one lesson from the author. I have print copies of the books listed below, which are filled with page tabs and notes, and I refer back to them repeatedly for reference. I’ve also listened to most of these audio books (where available) and took away even more than when I read the words in print. It’s like attending a lecture! This is obvious since I used his quote already, but when I first encoutnered this memoir on the craft of writing, I did not expect to take much away from it. Since King is the master of terrifying fiction, I didn’t imagine he could teach me much about memoir. However, writing is writing. No matter what the genre, all writers struggle to put time in at their desk. This was the first time I’d heard that concept and it made me feel less alone. I consider this my “textbook” on memoir writing. 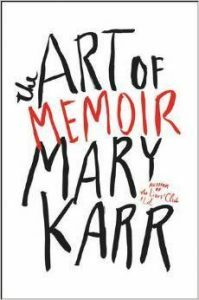 Karr’s advice does NOT resonate with all the non-fiction writers I know, but it does with me because the story of my childhood is kinda similar to hers, there’s questions about the truthfulness of some family members, and she’s got a snarky sense of humor too. Regardless of what you plan to write, I think this book is useful because it’s blunt and honest: No one who is genuinely “called” to be a writer is doing it because it’s fun. It’s difficult and often painful, especially for memoirists. I would call this the second part of the above mentioned theorhetical textbook. 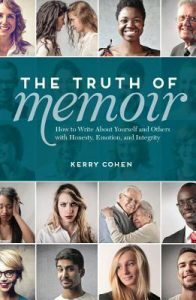 While Karr talks a lot about technique and style and the why of memoir, here Cohen assumes you are past most of that and goes right to the next step which is “How in the world do I publish what I’ve written about other people? !” Because while it’s true that my memoir is my story, there are a lot of other people who have played a part. 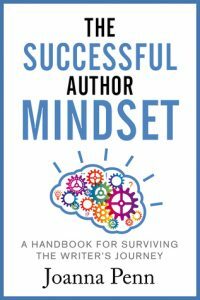 Like the above, this is not a book about writing technique. Penn is assuming you are answering your call and completing pieces for publication. So if you’re ready to be published, how do you go about submitting? What can you expect? What are the ethics involved and how do you handle peoples’ responses to your work? Penn answers all these questions in a straightforward manner with honesty. While not specifically about writing, that’s what Gilbert does and knows a lot about! 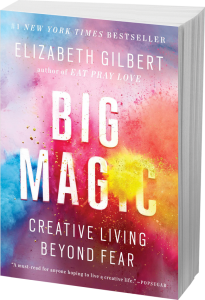 This book addresses the creative endeavor in general, be that writing or painting or dancing or stand up comedy. The core message of this book is that everything hold you back is based in fear. Gilbert provides a ton of no-nonsense advice on how to tackle your fears in whatever form they may take, be it procrastination, perfectionism, or any other form. By no means are these the only books on writing I have found useful. They’re the ones that resonated with me most and that I’ve returned to over and over again for advice and comfort. 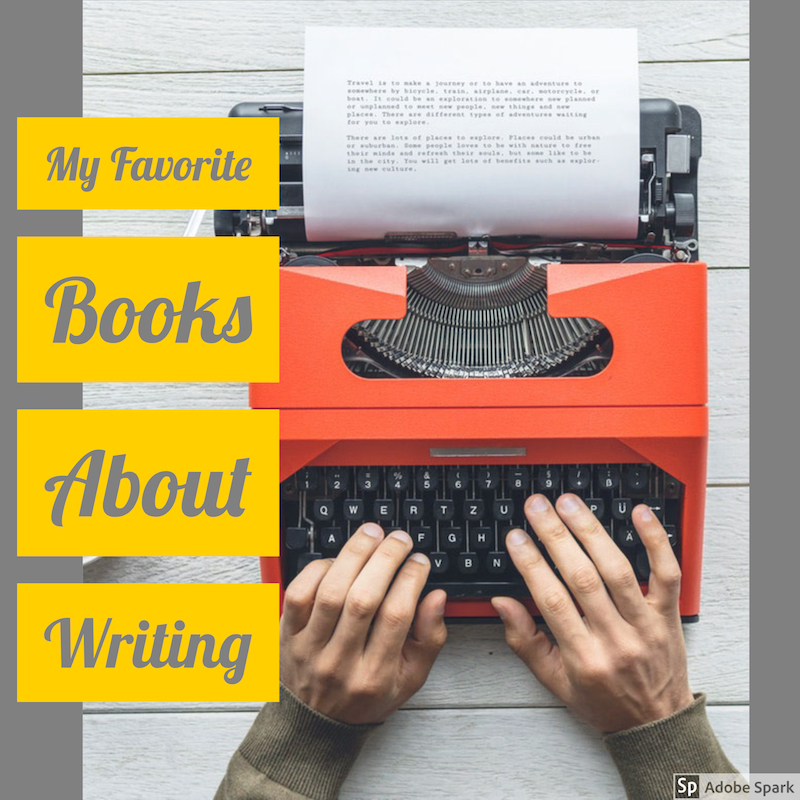 My TBR list features dozens more books about the craft of writing I have yet to get to! What about you? Which books have helped you hone your craft and offer support when you need it most? Wow. That seems like a lot of homework. When I finish blogging for this month, I better get back to reading. Thanks for the recommended reading – I’m always looking for more books on writing even though I’ve been at this for a few decades. Making my way through Writing Fiction by Janet Burroway right now but will check out the above. I also write memoir and have even given 2-3 talks on it to different writing groups on this topic. 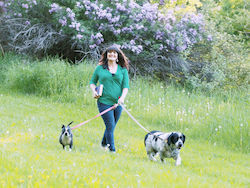 My three memoirs are about sight loss and seeing mobility with a white cane as an adventure. My latest book is a hybrid – memoir / devotional. So far it’s doing okay but it’s taking me longer to find reviewers. I’m familiar with a few books on memoir writing (though not those two) . I don’t recall the titles as I passed them on when the print became too small to read. We need more large print books on the craft of writing. LOL! This past Feb I read a workbook on memoir writing by CS Lakin. Mostly I research on the Internet. Thanks so much for sharing the books you like. I will def check them out! We can never have too many books on craft! I’ve read a couple of these but thanks of for a few suggestions to add to my TBR list! Stephen King’s On Writing is one of my favorites! Some great titles to add to my reading list! Lol, don’t feel like you have to read them all right away! I hope you are able to find them useful. I have had Stephen King’s book on my to read list for a while now; I need to get to it sooner than later 🙂 and more books to add to my list here ..
Nice! 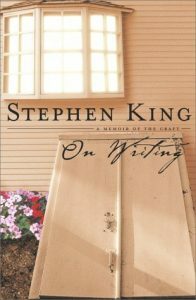 On Writing is definitely a must read for any writers, and/or King fans. I’m so glad you found my post useful, thanks for visiting!